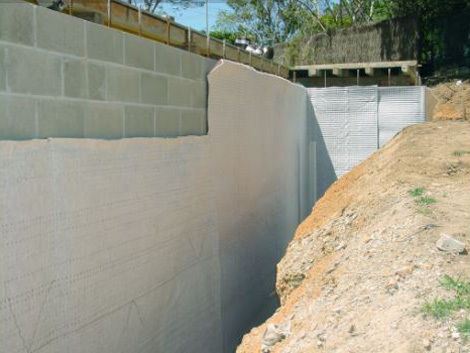 VersiDrain® 8 Geo is a studded high flow rated drainage sheet that provides effective drainage and waterproof membrane protection for foundation walls and other underground structures. 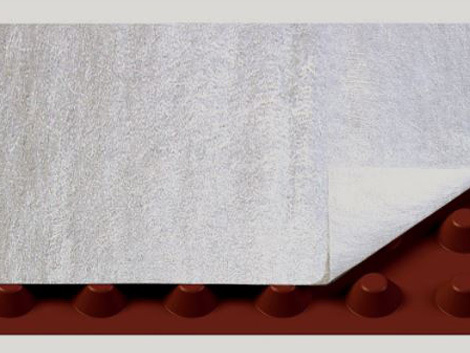 By incorporating an integrated non-woven geotextile and covering the studs that prevents soil particles blocking the drainage sheet, VersiDrain® 8 Geo creates an air gap for reliable ventilation. This, in turn, allows inflow and transport of water from surrounding soil. The vertical stud structure effectively captures and transports high water volumes and resists high load pressures from earth and formwork. 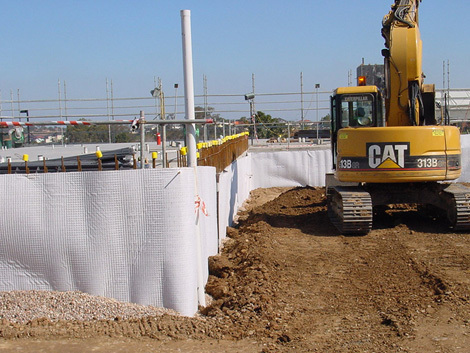 The wide, lightweight rolls of the VersiDrain® 8 Geo drainage sheets allow for rapid and low-cost installation without compromising on the efficient drainage and barrier functions of the product.